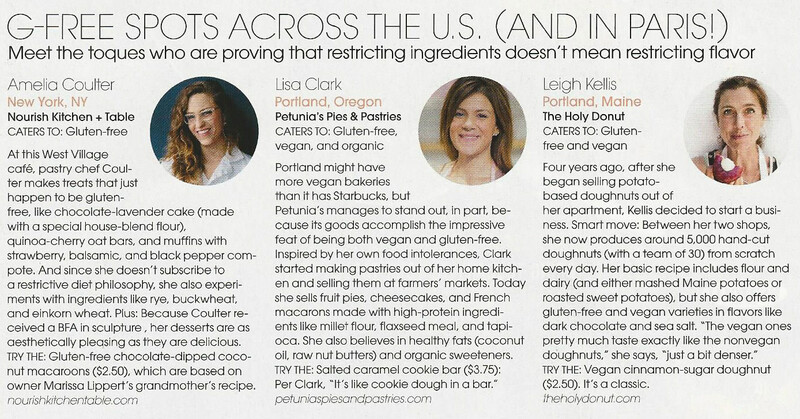 Four years ago, after she began selling potato-based doughnuts out of her apartment, Kellis decided to start a business. Smart move: between her two shops, she now produces around 5,000 hand-cut doughnuts (with a team of 30) from scratch every day. Her basic recipe includes flour and dairy (and either mashed Maine potatoes or roasted sweet potatoes), but she also offers gluten-free and vegan varieties in flavors like dark chocolate and sea salt. “The vegan ones pretty much taste exactly like the nonvegan doughnuts,” she says, “just a bit denser.” TRY THE: Vegan Cinnamon-sugar doughnut ($2.50). It’s a classic.